In 1660, the first Meetinghouse was built on the southwest corner of the Green. 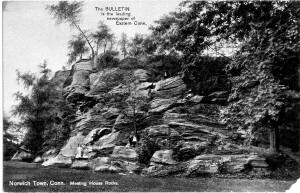 In 1673 a second meetinghouse was erected on top of Meeting House Rocks to serve as a look out post during King Philip’s War. The third meeting house was built on the hill near the previous meeting house and was completed in 1713. The third meeting house is where Benedict Arnold was baptized and the Arnold family worshipped. 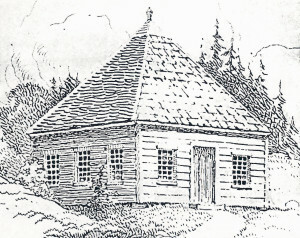 At first, the Arnold family sat near the front of the meeting house which symbolized their high status in the community, but as their finances declined and Captain Arnold’s alcoholism increased; the family had to undergo the public humiliation of being pushed farther back, until they were resigned to the gallery for poor people. Hannah Waterman Arnold was cruelly reminded every Sunday of how her family’s fortunes had fallen. Rev. Ja mes Fitch was the first minister and Rev. Benjamin Lord was pastor from 1716-1784. Rev. Lord’s sermons were like a modern newscast. 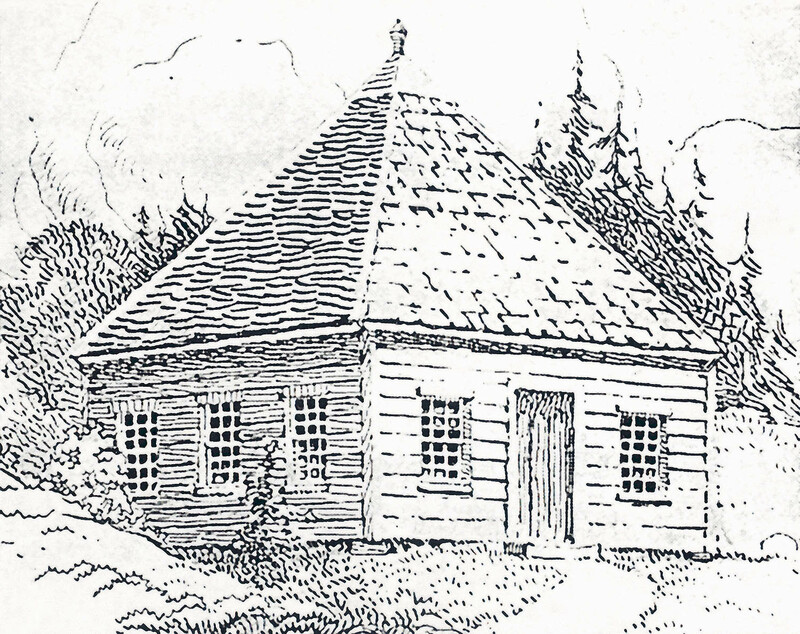 A fourth meeting house began construction in 1753 and was completed just under the Meeting House Rocks in 1770. However, the building burned down and the present church is the fifth church built and dates back to 1801. President Millard Fillmore’s cousin, Lavius Fillmore, was the architect of the church. General Ebenezer Huntington laid the corner stone for the church in 1801. The wealthiest members of the church paid for a pew closest to the pulpit to be closer to God. The building is in the Federal Style. Meeting House Rocks served as a place of worship, a watchtower and a garrison post. Today, members of the First Congregational Church continue to hold outdoor services at Meeting House Rocks. The Powder House was built in 1760 and located near the path that leads to Meetinghouse Rocks. Muskets, bullets and 3000 lbs of powder were stored here. The Powder House blew up in 1784 and no one was injured.